I’ve always been fascinated by the history, the culture, the temples and food of Asia. And when I think of Asia, countries like Thailand, Vietnam and Indonesia immediately cross my mind. For this trip I wanted to go somewhere different: I wanted to see Japan. The country of electronics and old temples, of sushi and Sake, of geisha’s and sumo wrestlers. Yes, Japan is a fascinating and versatile country. One that you should definitely visit at least once in your life. I decided to go to Tokyo (Central Honshu) and travel down to Osaka (West Honshu). On my may I wanted to visit Kyoto and Nara as well, two cities that are a lot smaller but not any less impressive. 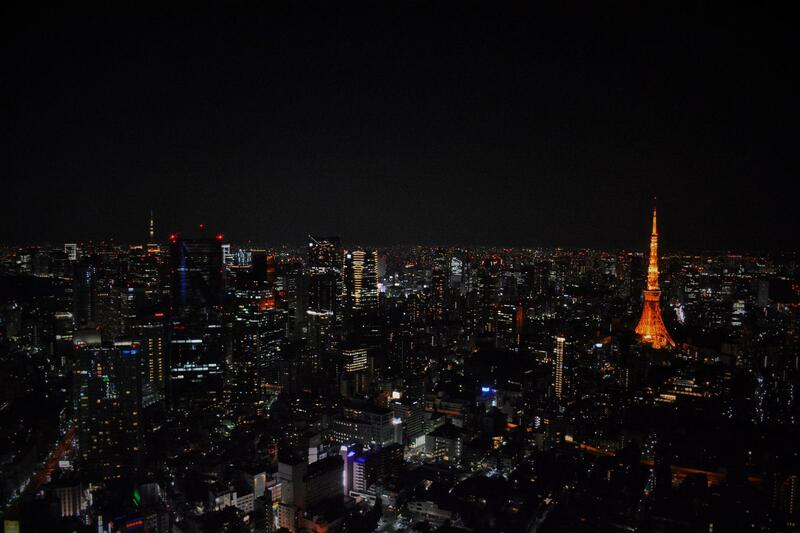 In this month’s blog, I will tell you about my travels to Tokyo. When I arrived to Tokyo I kind of expected to be impressed by the size of this city, but never did I think I would be this amazed! Tokyo seems to be bigger than any city I’ve been so far. Lights everywhere, thousands of people in the streets… You’d expect total chaos and some people to be unfriendly, but it couldn’t be further from the truth! People are friendly and helpful and are more than happy to show you the way. Not once did I feel unsafe, not even at night or in a quiet neighbourhood. Chaos doesn’t seem to exist in the Japanese language either; people stand in a straight line to board a train, trains run right on schedule, everything is perfectly organized and it definitely seems to work. Make sure you Pre-order your JR-pass prior to your arrival to Japan. This allows you to travel through Japan by train, including traveling with the Shinkansen! When you arrive to the airport you can pick up the Rail pass with your voucher and hop straight on a train towards Tokyo. Keep in mind that hotel rooms in Japan (and especially in Tokyo) are expensive and a lot smaller than you’re used to. However, they are always very clean and comfortable. 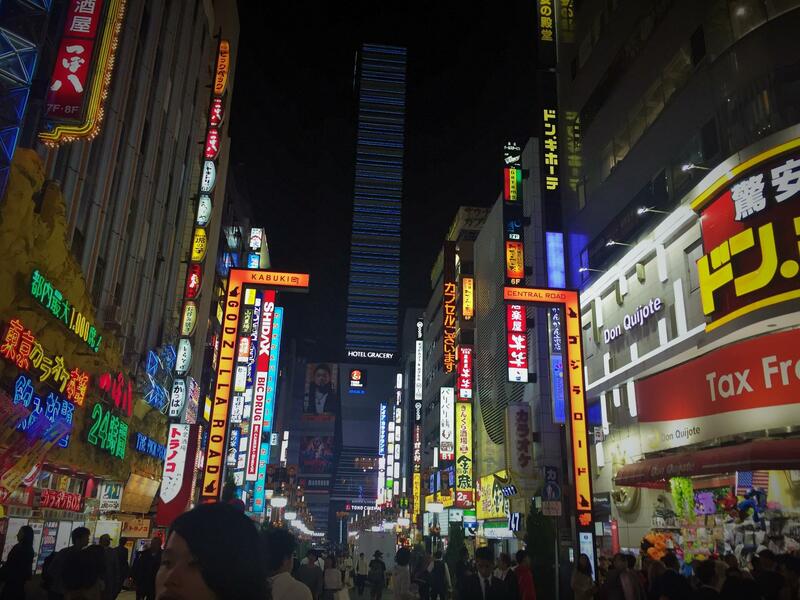 I stayed in APA Hotel Shinjuku Kabukicho Tower, A beautiful hotel in the middle of the buzzing night life, shops and restaurants and only a short walk away from Shinjuku (train) station. 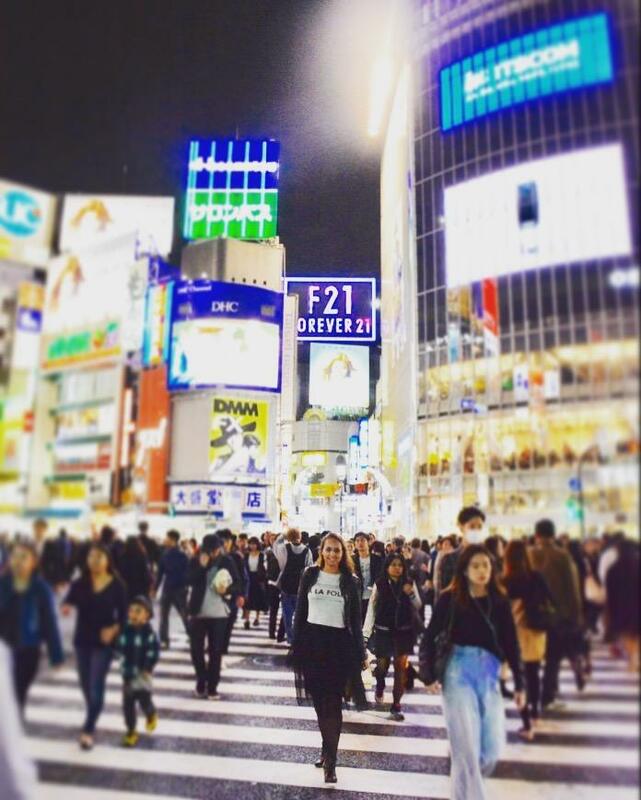 Once you’ve checked in it’s time to experience what Tokyo has to offer. 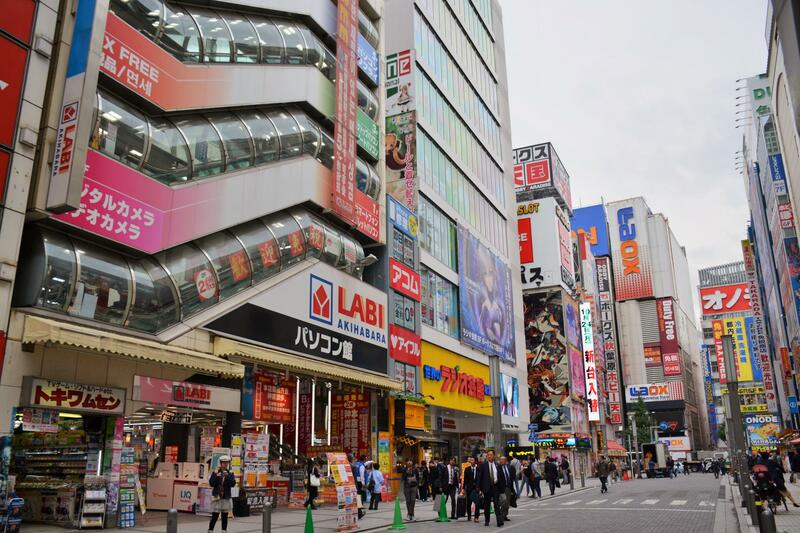 Check out Takeshita street in the Harajuku district (only one stop from Shinjuku) and spot the famous Harajuku girls. Harajuku is great for shopping! Besides the extravagant outfits you can find some great boutique shops with the latest fashion. When walking through the area you should stop by Yoyoki park where you can visit the Olympic Stadium and the Meiji Jingu shrine. 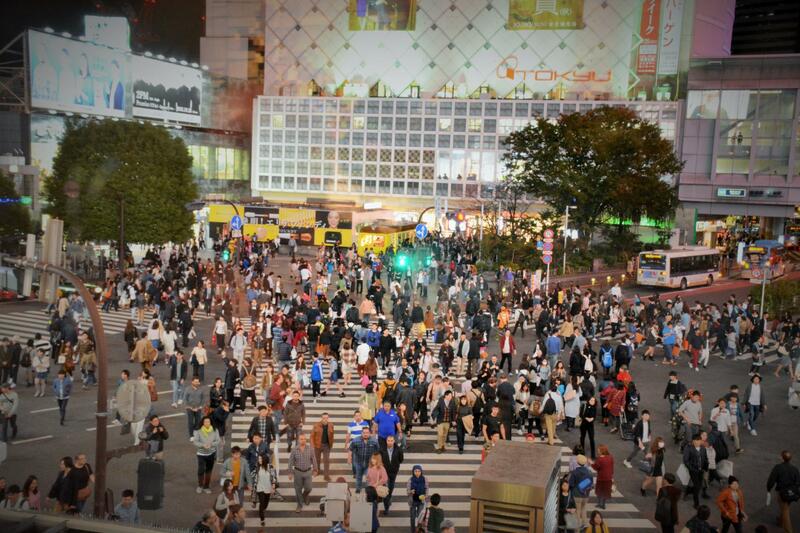 One of the things you should experience is the Shibuya scramble Crossing. World’s busiest crossing with over a 1000 people to cross the road each time! The crossing is right outside Shibuya station and is even more impressive by night, surrounded by all the big city lights. Shibuya is also a great area to have dinner. Lots of great little restaurants can be found in the little streets or above the shops. Tip: It’s common in Japan to be given an appetizer before you order your dish. However you will be charged for this appetizer. So don’t be surprised when you receive your bill. 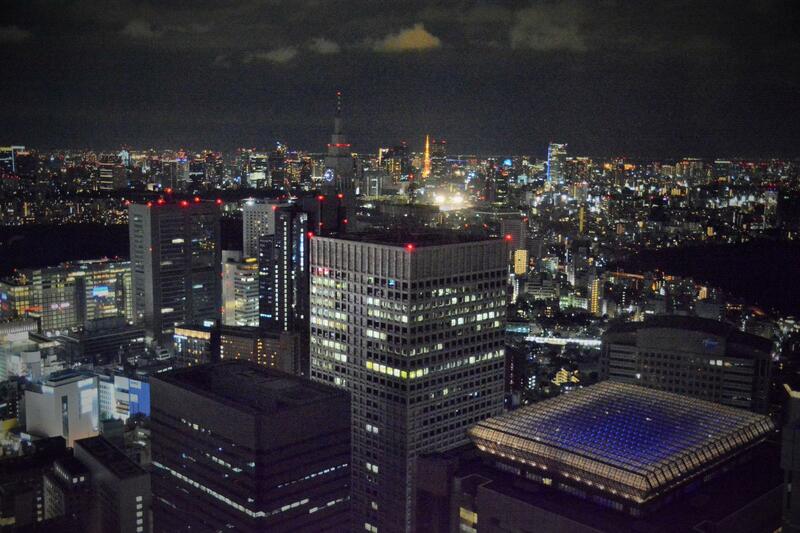 A great way to end your first day in Tokyo is to go to the Metropolitan Government Tocho. This 243 meter tall building has two towers, and each houses an free observatory deck at a height of 202 meters. From here there’s a wonderful view over the city. 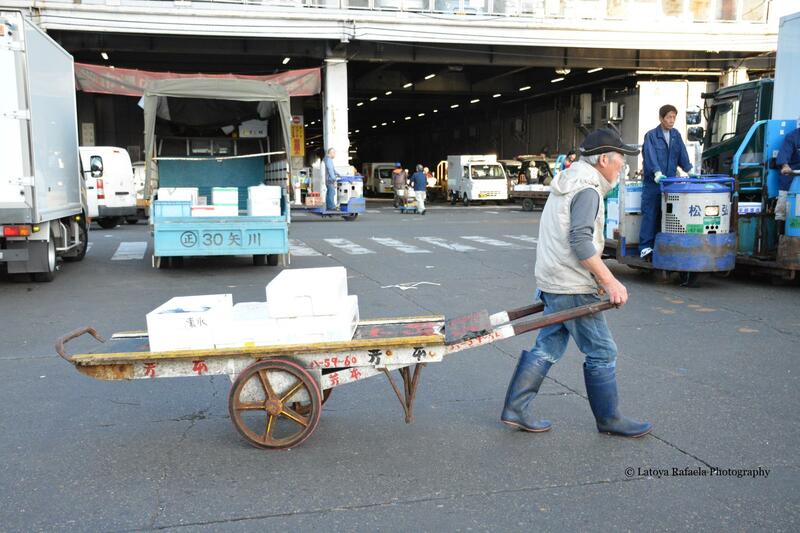 Get up early and make your way down to the Tsukiji Market. This wholesale market is one of the largest fish markets in the world and it’s famous for their tuna auctions. If you want to experience the auction, you will have to start to queue around 4:00 am, since the amount of visitors is limited to 120 people and late arrivals are likely to miss out. The Tjukiji market is also a unique place to have your fresh sushi breakfast. I would advise to try one of the many restaurants at the inner market but also at the outer market there are many lovely restaurants to have a breakfast or early lunch. You might be queuing for a while, but it’s definitely worth it! I had the best sushi ever in one of the restaurants at the inner market! 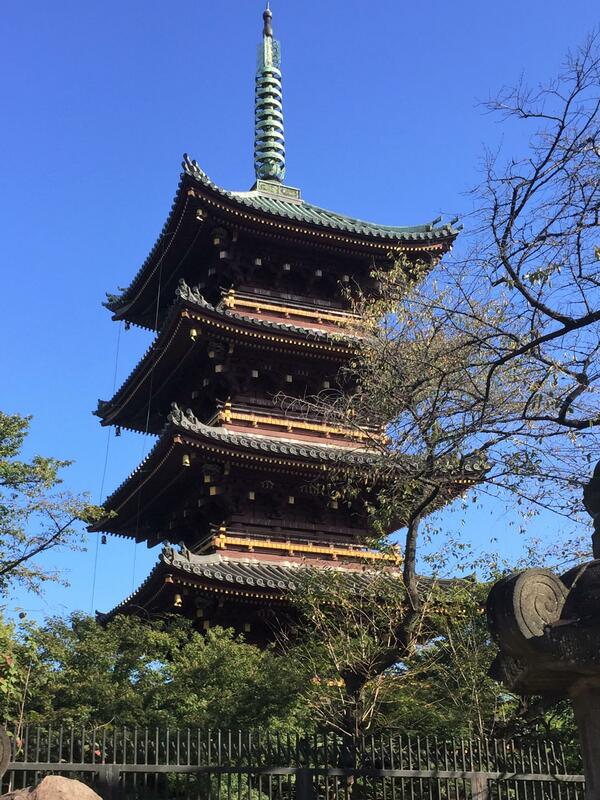 The first stop after Tsukiji market will be Park Ueono, where you can see the 5 story high Pagoda (Kaneiji -Temple), the zoo and the National museum. 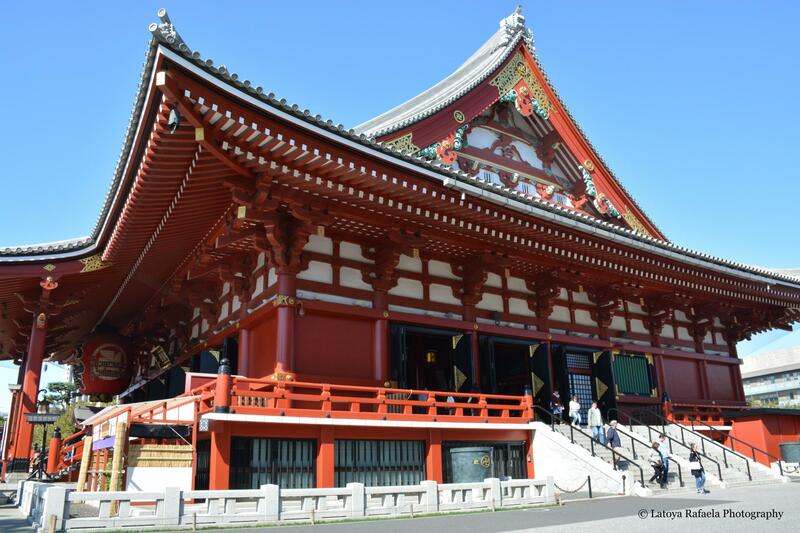 After a few hours in the park you can take a train towards the Sensoji Temple and the Asakusa Nakamise shopping street. 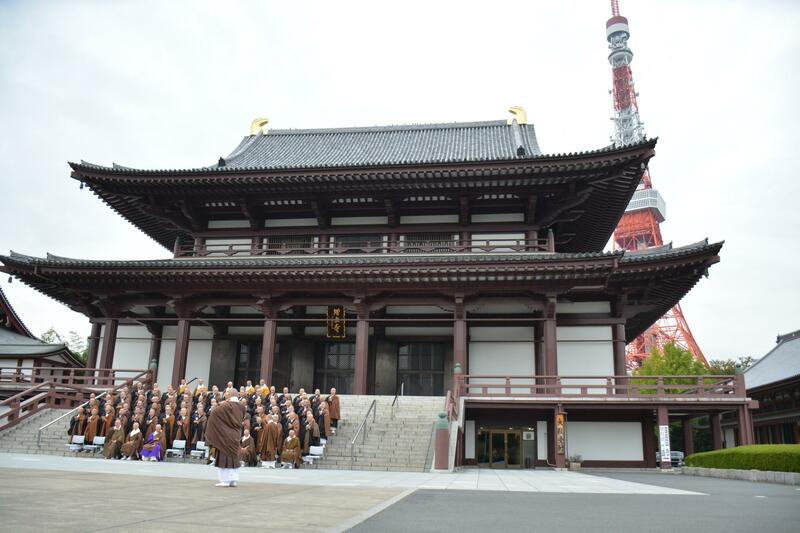 Definitely one of the most impressive temples in Tokyo! The street towards the temple is perfect for some souvenir shopping. Not far away from the Asakusa district you can find the Tokyo Skytree. For a spectacular view of this incredible city this is where you need to be. 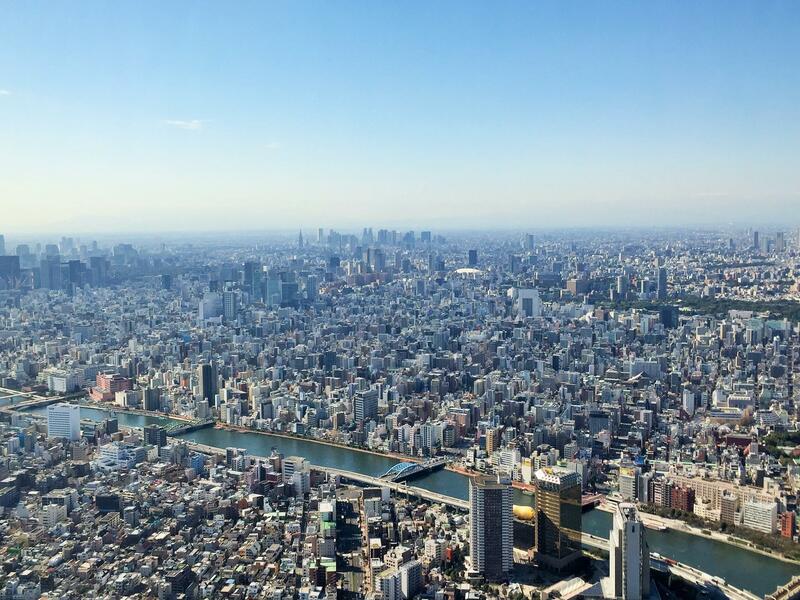 With its 634 meters, it’s the tallest building in Japan. If the weather will allow it, you can see Mount Fuji from here! A nice alternative (or extra stop if you can’t chose) is Ropongi hills. This 238 meter high building is another place for a great view over the city. 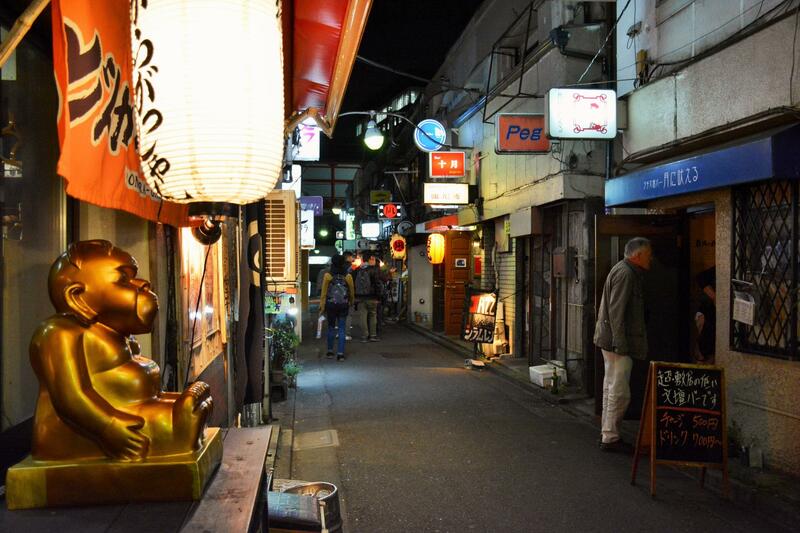 Situated in Shinjuku, you can find the Golden Gai. Though this area may look like it’s best days are over, it’s actually a very popular place to go for a drink. A few narrow streets with tiny little places that usually don’t hold more than a bar with 6 seats. That’s all it is really, but it’s definitely worth the experience. Not all the bars allow tourists inside and if they do, some of them might charge you a fee. 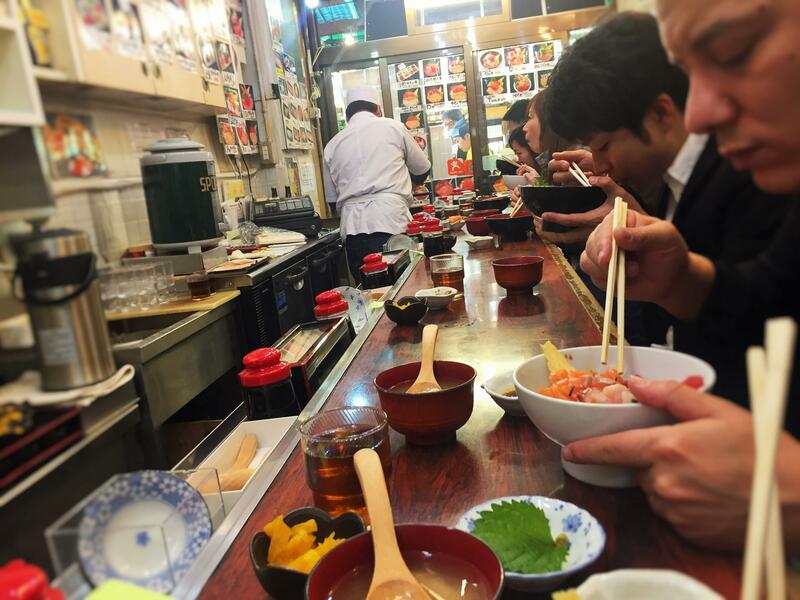 Lots of great restaurants can be found in the surroundings of the Golden Gai area such as the Robot Restaurant or Wagyu Yakiniku Black hole, where you can try the super tender Wagyu beef. Start your day at the Tokyo Tower. This Eiffel tower look-a-like is 333 meters high and there for higher than the original in Paris. The best moment to visit the tower is in the morning right when it opens. This way not too many tourists are there yet. There are 2 viewing points, one at 150 meters and one at 250 meters. 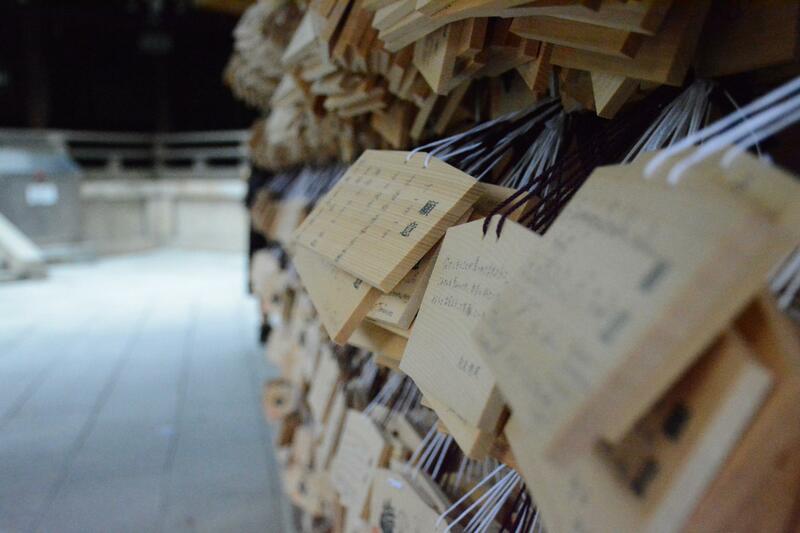 While you’re in the area you should definitely make a stop at the Zojo-ji temple, that is just across the road. Next stop is the Akihabara district. This district is where you can find all your electronics, from cameras to laptops. Make sure you play a few of the popular computer games in one of the many Game Centre’s. Another thing Japan is famous for is sumo wrestling. 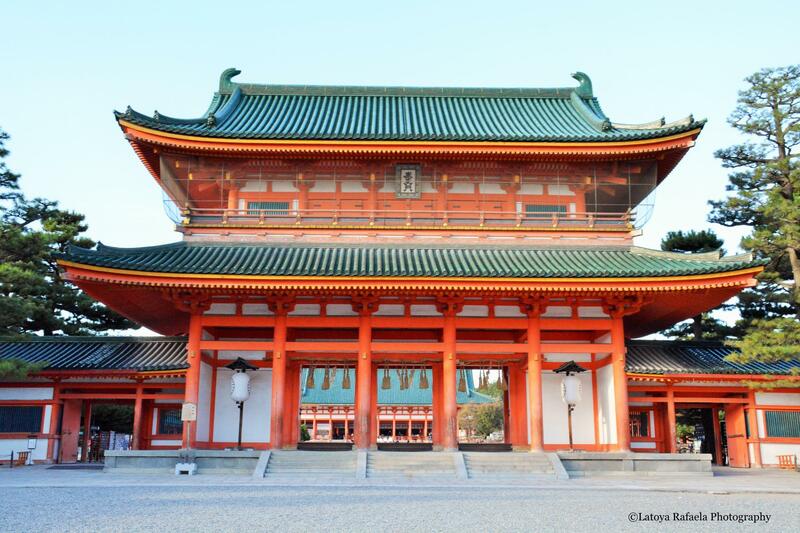 The Sumo stadium and museum, located in the Ryogoku district is worth to pay a visit. Before you go there, check online if there is a sumo game! The Imperial palace located in a large park in the Chiyoda ward of Tokyo, is the primary residence of the Emperor of Japan. 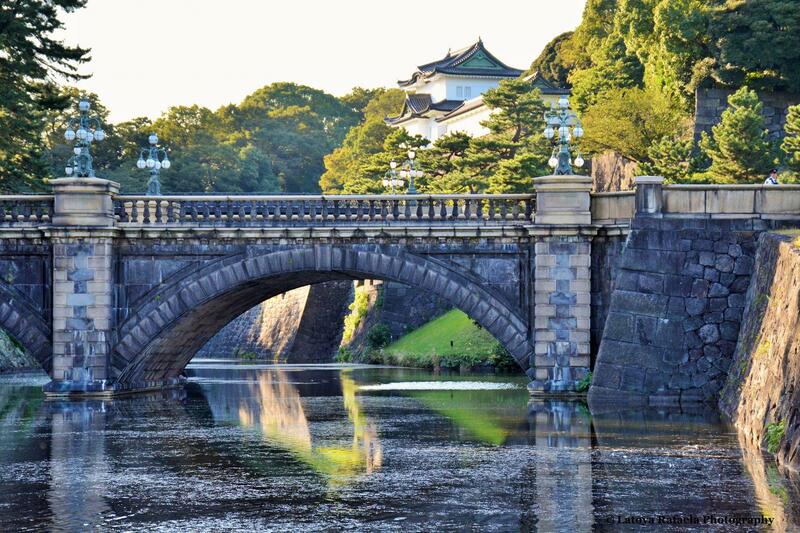 One of its main sites to visit is the Nijubashi bridge with the palace in the background. This place was on top of my to-do list for Japan: Mount Fuji. There are many excursions to see this impressive mountain, but excursions like these are expensive and often very busy with tourists. You can easily book a train and use your JR-pass to visit Lake Kawaguchiko, one of the 5 lakes around Mount Fuji. I would advise you to travel there early, cause you won’t be the only person that wants to visit the lake. But the earlier you get there the quieter it will be. From the shore you can take some breath taking photos of the mountain and the lake in front of it. Tip: rent a bike at the shop in front of the train station! 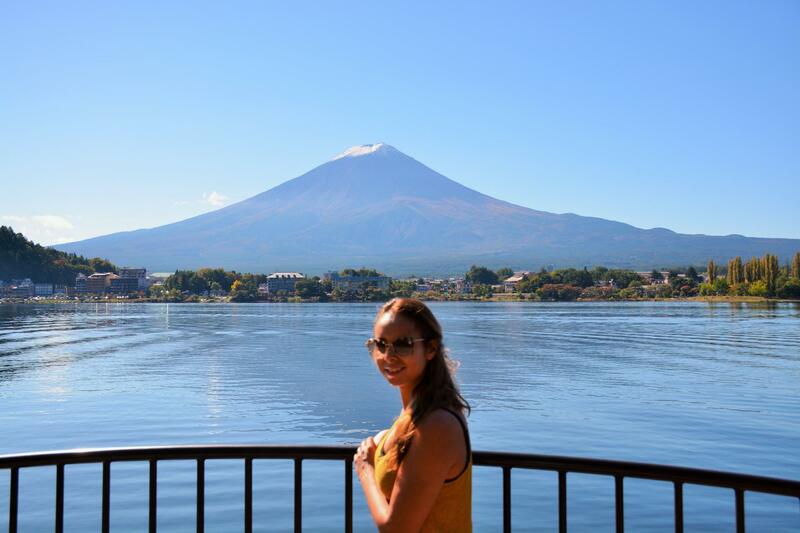 By bike it’s only a 10 to 15 minute ride to the lake and till you have a first peek of the famous Mount Fuji. The Kachi Kachi Ropeway is another way for a beautiful panoramic view of Mount Fuji. The cable car will take you from Lake Kawaguchiko to an observation deck near the peak of Mount Tenjo. If you want to relax and have fun for a bit, the Fuji Q highland amusement park is a great way to do so. Spend your time in rides and attractions including Guinness World Record breaking roller coasters. 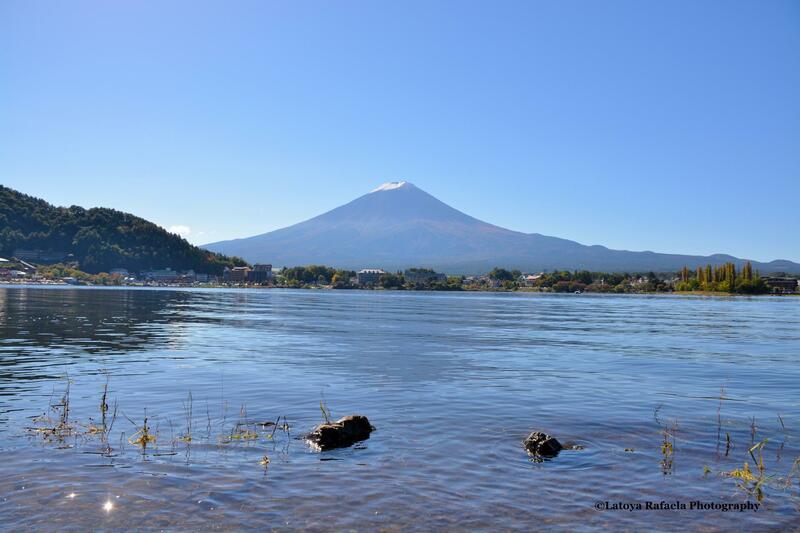 For those of you that wish to climb Mount Fuji (July – August) lake Kawaguchiko is a perfect place to set base. 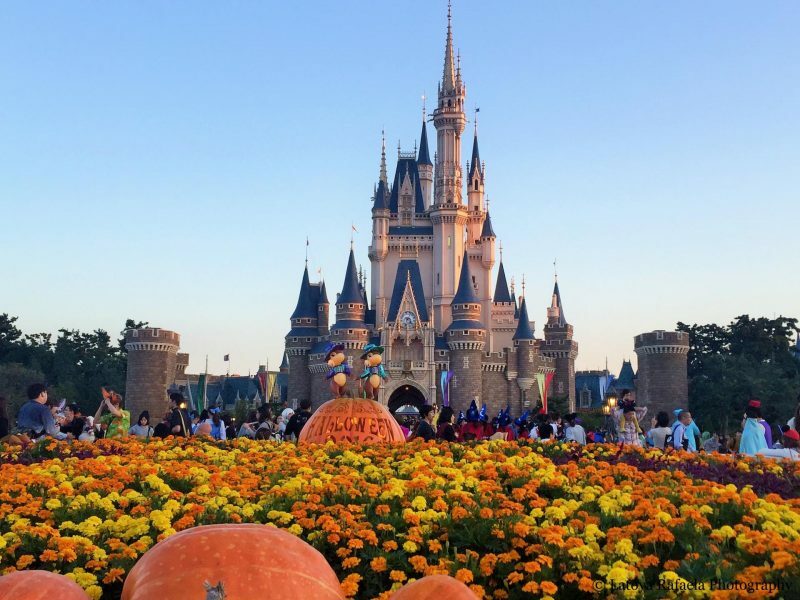 If you have an extra day to spend but want to be away from the city, Tokyo Disneyland is the perfect escape!! Of course it’s easy to get there by train and also included with the JR-pass. Another great option for day 5, is the Tokyo dome city, an amusement park located in the middle of Tokyo. No admission will be charged to get in. For more photos of my trip visit my website! 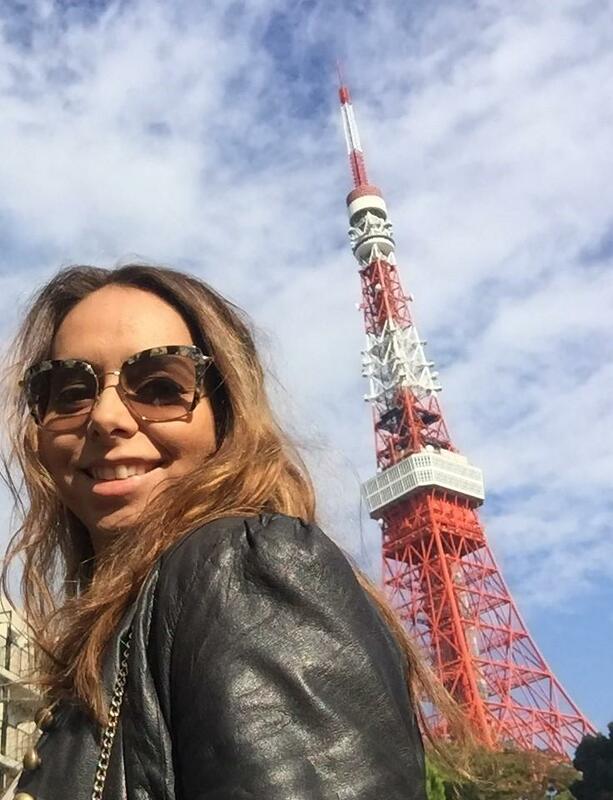 Want to know more about my travels in Japan? Next time I will tell you all about Kyoto, Nara and Osaka. These beautiful cities make you feel like you’re in a different world. Oh my I love this post so much !! ❤️❤️ I’m dreaming of going to Japan one day, Shibuya is probably where I want to be spending most of my time. Love it make me want to visit Tokyo! Thank you Sofia! Its so beautiful there, I’d really recommend it! Next time I’ll write about Kyoto, Nara and Osaka, also 3 beautiful cities in Japan. For more photo’s of my trip you can visit my website! Wow, great post! Can’t wait for your blog about Kyoto. Really wanna visit Japan some day! Thanks Julia! Glad je enjoyed it. My blog about Kyoto will be posted in a few weeks!